Freshlook range of coloured contact lenses by Alcon / Ciba Vision includes 5 separate lines: Colors, ColorBlends, Dimensions, Dailies, Illuminate. FreshLook Colors are for those with naturally dark eyes looking for a bold colour change. FreshLook Colorblends are for those seeking a more subtle look. 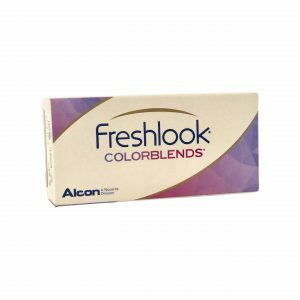 FreshLook Dailies offer the leading Colorblends colours. Fresh Look Dimensions are for those with naturally light coloured eyes. Freshlook Illuminate enhance and define the natural eye colour. Freshlook ColorBlends coloured contact lenses provide a subtle change of eye colour and a beautiful look. 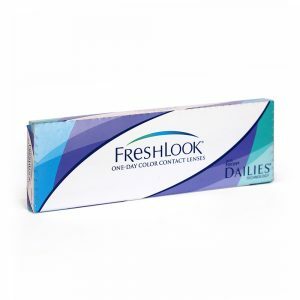 Freshlook One Day is a coloured daily disposable contact lens designed to enhance the natural colour of the eye. 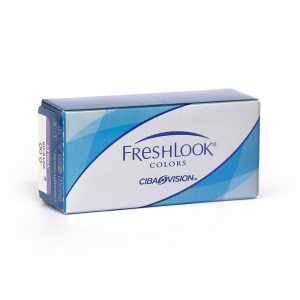 Freshlook Colors monthly disposable coloured cqlenses. Eye catching vibrant colours. Freshlook Colors – monthly disposable coloured contact lenses ideal for naturally dark eyes.